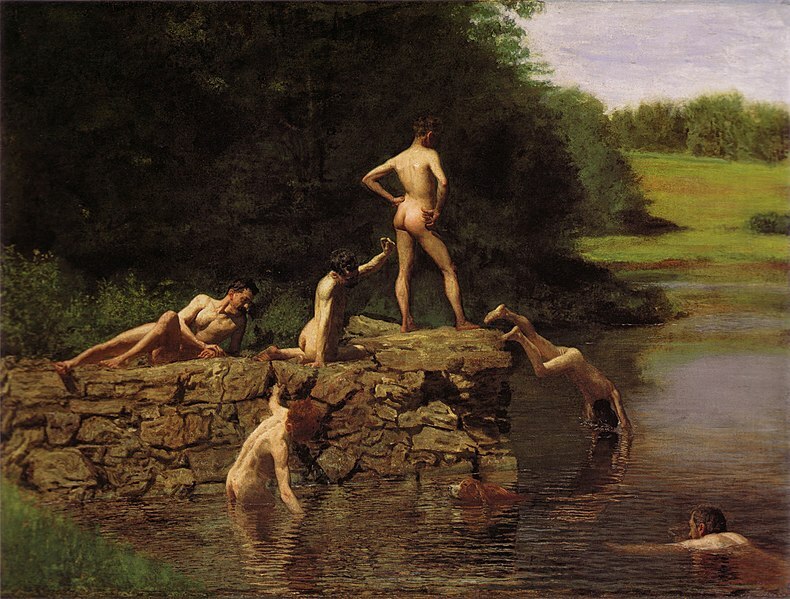 Above is a oil on canvas portrait of Walt Whitman by the American realist painter Thomas Eakins (1844-1916). 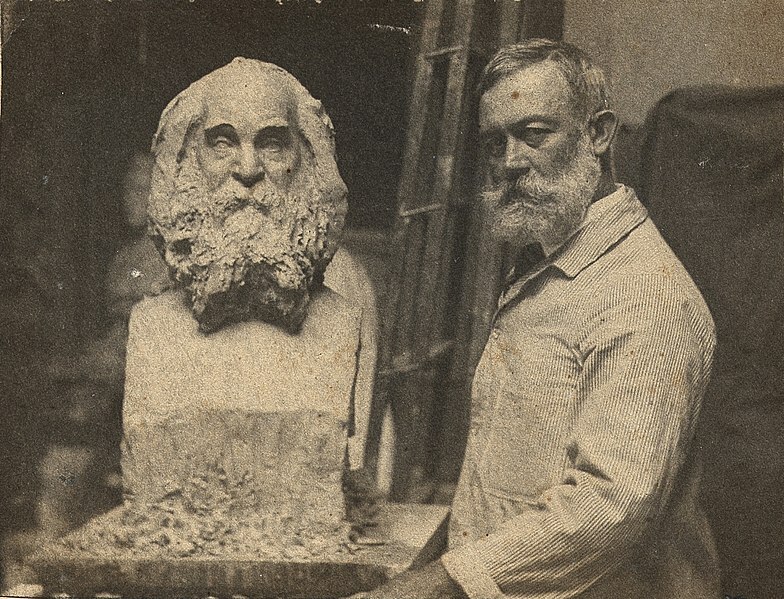 The photographed portrait of an elderly Whitman I posted on January 1st, as well as the image that is this blog’s banner right now, are also Eakins’ work. 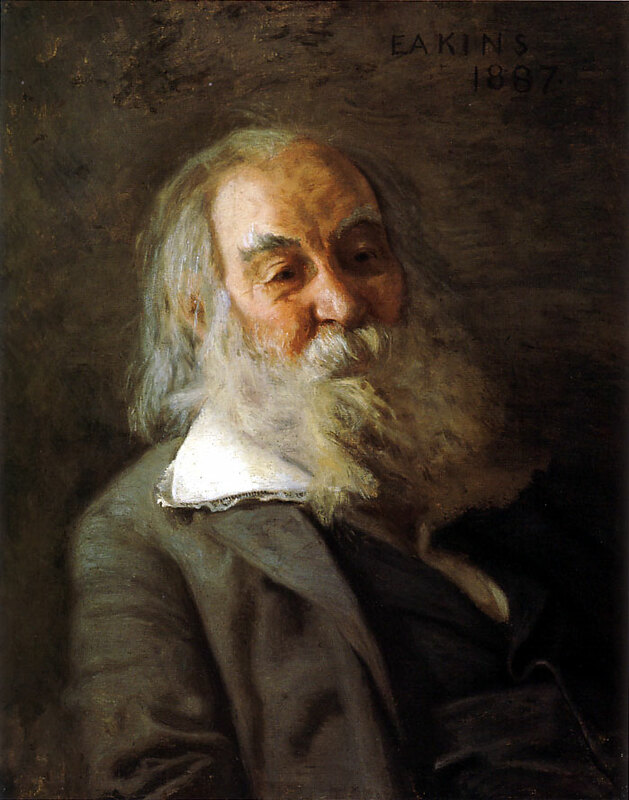 Of all Eakins’s portraits of Whitman, this one seems, to me anyway, like another. Only, rather than looking at Whitman, Eakins is looking into Whitman, or even into Whitman with Whitman, if that makes any sense. Twenty-eight years of womanly life, and all so lonesome. She hides, handsome and richly drest, aft the blinds of the window. Ah, the homeliest of them is beautiful to her. I deeply hope that everyone enjoyed a relaxing and food-filled holiday. McMaster reopens on Monday, January the 2nd; classes resume as of Tuesday, January 3rd, which means 2H06 starts back up on Wednesday, January 4th at the usual place and time. On behalf of the teaching assistants and the students, I’d like to extend the deepest gratitude to Dr. Joseph Adamson, who expertly educated us on the magnificent works of Poe, Hawthorne, Melville, and Thoreau. While Dr. Adamson will be missed, his equally exciting colleague, Dr. Jeffery Donaldson, takes the reigns from here on out, and so the second term promises as much fascinating and enlightening leadership as the first. Thank you, Dr. Adamson. And welcome, Dr. Donaldson. The second of nine children, Walter Whitman was born on May 31, 1819. He initially self-financed the publication of 795 copies of what is now his best-known work, the collection Leaves of Grass, in 1855, at the age of 36 – a loner and a bachelor living in the attic of his parents’ home. The book was labeled an oddity and sold poorly, though Whitman remained motivated. Leaves of Grass was very much a living text: Whitman revisited and revised the poems therein until his death in late March 1891, at the age of 71. In March 1882, the book was criticized (read: attacked) by Boston District Attorney Oliver Stevens and the New England Society for the Suppression of Vice, calling the collection “obscene.” Indeed, controversy over the sexual currents in Whitman’s verse remains a focal point to this day. Among the many gifts exchanged between former-President Bill Clinton and his mistress Monica Lewinsky, it’s widely-known that Clinton gave Lewinsky a special edition of Leaves of Grass. Levi’s, Lewinsky, and the popular “O Captain! My Captain!” scene in the film Dead Poets Society, even a poorly-received 2009 dark comedy starring Edward Norton and directed by Tim Blake Nelson – Whitman’s influence, his importance, permeates the cultural narrative of the United States. Even Breaking Bad (one of the best shows on television now). What luck, that we should spend time with his brilliant work, that we may absorb and think with his ideas, his artistry, and his daring. “Who need be afraid of the merge?